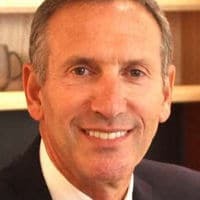 Coffee chain Starbucks is processing nearly nine million mobile payments a week across its US locations, representing 20% of all in-store transactions, CEO Howard Schultz revealed during the company’s third quarter earnings call. The company is also on track to roll out its Mobile Order & Pay service across all its US stores this year. “Our mobile commerce platform is stronger than ever,” Schultz said. “Given the powerful, positive impact Mobile Order & Pay had on our business in Portland and Seattle, we accelerated the rollout of this offering and now offer this innovative mobile capability in over 4,000 of our US company-operated stores. Starbucks launched Mobile Order & Pay in Portland in December 2014 and expanded to 650 locations in the US states of Washington, Idaho, Oregon and Alaska in March 2015. The service was rolled out to 21 more states in the southern and central US last month. “We will add the Mobile Order & Pay feature to our Android app in the US, as well as introduce Mobile Order & Pay technology into our international markets, in the months ahead,” Schultz added. The company has also announced a partnership with social transport network Lyft. All Lyft drivers will have the option of becoming My Starbucks Rewards (MSR) loyalty program gold level members, and both Lyft drivers and riders will have the opportunity to earn MSR loyalty Stars redeemable for food and drinks at participating Starbucks stores. “As part of our partnership, Lyft will purchase Stars from us and distribute the Stars to increase customer acquisition and loyalty, reward their drivers and distinguish Lyft from competitive services,” Schultz explained.